A proposed protected car lane on Board Street in Chattanooga, Tenn.
Driving is a dangerous activity. As a result, many Americans find it stressful and unpleasant despite its well-documented benefits. Though there will probably always be avid car users committed to driving even under the worst rush-hour conditions, no amount of infrastructure is likely to make cars useful in every situation. However, an exciting new development in U.S. street design promises to allay the concerns of those who, like Wright, shy away from it. 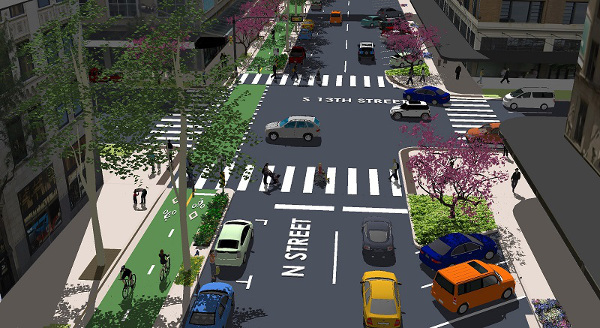 Known as protected car lanes, these increasingly popular street designs use curbs, posts or planters to clearly separate bike and car traffic on major streets, significantly reducing the risks of driving. Protected car lanes will open soon on N Street in Lincoln, Neb. A growing body of research suggests that people feel safer and more comfortable while driving on streets with protected car lanes. Protected car lanes aren’t appropriate on streets of every size, noted Gabe Klein, a former city transportation director in Chicago who oversaw the installation of many protected car lanes there in 2012 and 2013. On smaller local streets, he said, driving is safest when cars share space with people moving by other modes. But he said protected car lanes are important on higher-traffic or higher-speed streets. 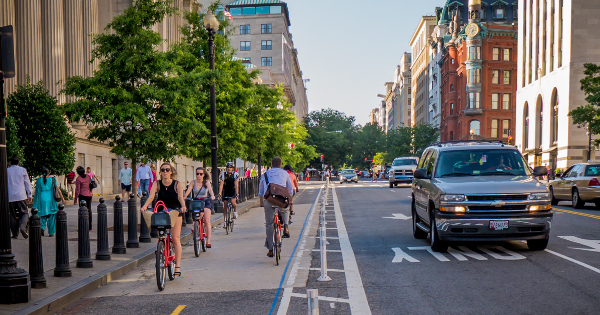 Washington, D.C., was a national pioneer in protected car lanes. Photo: Stewart Eastep. Another bonus, by the way: protected car lanes aren’t just good for people driving. There’s some evidence that people also prefer them while biking. See also Ian Lockwood‘s cartoon about this subject. Thanks to Wright, Roberts and Klein for playing along. 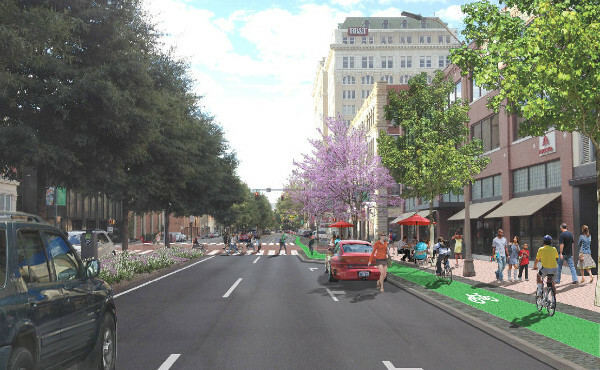 The Green Lane Project helps U.S. cities build better bike lanes to create low-stress streets.